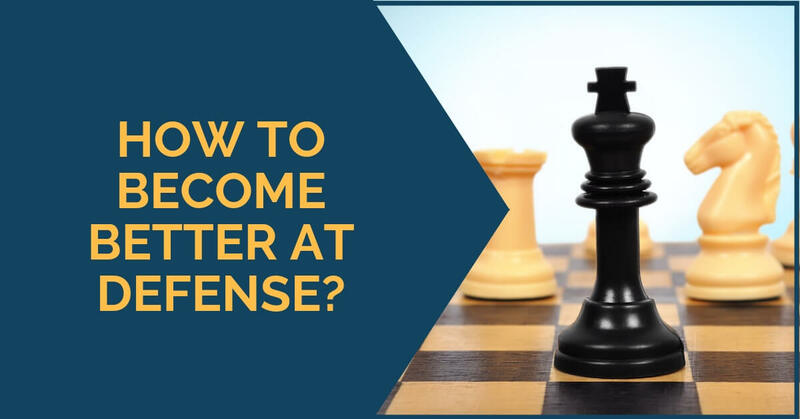 How To Become Better At Defense? Everybody wants to attack. Sac, sac, mate, the ideal game for many club players. But what about the poor player on the receiving end? I can assure you that he does not derive the same pleasure! As much as we would want to, it simply is not possible for every game to turn out into an attacking masterpiece. Sometimes we end up in trouble and then we definitely do not want to become the co-authors of a brilliancy. How to avoid that fate? The main problem when defending is a psychological one. We feel attacked. The threat against us (and not our position! Note the very important difference!) makes it personal and this, in turn, makes it more difficult because we cannot detach ourselves from the position and look at it objectively. It is vital that you understand the implications of this psychological effect. When we feel personally involved, it is hard to objectively assess and understand the consequences, not only of our own decisions but also the danger of the attack. Separating our ego from the position is an issue that requires particular awareness. Many games have been lost when the person felt under attack while the engine was quietly humming 0.00. This is usually done by the method of elimination. This is a very important technique that every player should be familiar with. It consists of carefully checking your options and then selecting the only one that does not lose immediately. White’s queen is attacked. He should either take the knight or move the queen. So the player will start calculating variations. I would only give the barest minimum here in order to come to a decision, in a game probably a bit more needs to be calculated. It is natural to start with the knight capture, 1 Ra4. Then after 1…Rd1 2 Ne1 Qd4 White has the only move 3 Qe3 and it may seem that White is holding. But upon seeing the move 3…c3! 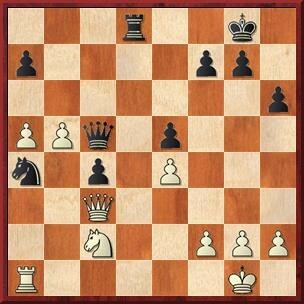 and especially the follow-up 4 Rd4 ed 5 Qe2 c2 White will realize that he cannot capture the knight. Next White should check the queen moves. Going to e1 is not good, 1 Qe1 Qb5, simply leaves White a pawn down. Going to e3 is similar, as even though White takes on a7 he allows Black to penetrate on b2: 1 Qe3 Qb5 2 Qa7 Qb2 and White loses material, the point being that 3 Qe7 is met by 3…Qa1, mating. This leaves us with the only move 1 Qb4. And as the simple calculation shows, White is absolutely safe after it. Black must exchange queens and the ensuing endgame is equal: 1…Qb4 2 Nb4 Nc5 3 Nc6 Rd2 and here in view of the threats of c3-c2 and Nb3 or Nd3 White must again find the only move 4 Kf1. The calculation should be continued in an over-the-board game, but in order to make a decision seeing up to here is enough – the lines show that White did not really have a choice in the starting position as all moves, bar one, lose. 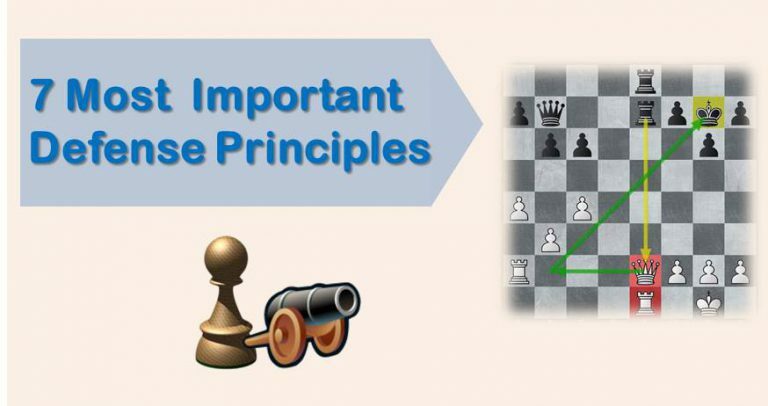 So even if the position after the only move that does not lose is not to his liking, he does not have a choice but to play that move and stay in the game. You can also see from the above example that the calculations of the lines were not very deep. Perhaps the most difficult line to see was the line when White takes the knight because then the pretty combination with a queen sacrifice had to be foreseen, but otherwise, the moves were relatively simple. 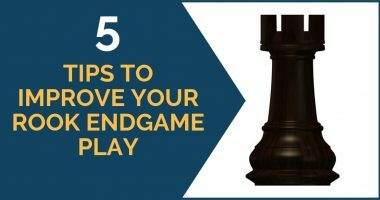 Bear in mind that in difficult positions the option that does not lose immediately may still lead to a lost position, but the key point here is the word “immediately.” In the lost positions, it is important to keep posing problems to your opponent, prolong the game for as long as possible, keep him seated there and force him to make moves for hours on. Very often you would be surprised how people lose patience and make mistakes when forced to play a winning position on and on. To illustrate the above here is a bit more complex example. No development and his king is under attack. White’s most obvious threat is to give the check on f7 and then bring the rook to the h-file. There is only one way to prevent the check on f7 and that is the move 1…Be6. The method of elimination is rather straight-forward here, no need to calculate pretty much anything (1…Qf8 is not really an option as it loses the rook on a8 after 2 Nc7). When playing 1…Be6 Black needs to see what happens after 2 Ng5, and should realize that taking on d5, 2…Bd5 is good for him as the king is safe on f8 after 3 Qh7 Kf8. However, after 2 0-0-0 the threat of Ng5 is introduced, because then after, for example, 2…Nc6 3 Ng5 Bd5 4 cd fg 5 Qf7 Kh8 6 Rh1 (the whole point of 0-0-0) Black is mated. Hence, Black again does not have a choice and must take on d5 immediately: 2…Bd5. After 3 cd Qd5 (the queen protects f7 from d5) 4 Qe8 Bf8 White doesn’t seem to have immediate threats and Black even wants to give the check on c6 in order to exchange queens. Seeing up to here again should be enough for Black in order to play this line – it was the only line that did not lose immediately. However, this does not mean that the position is good for Black. In fact, after 5 Kb1! (defending a2 and getting away from the threat of the exchange of queens after the check on c6) Black is forced to play 5…b6 (defending the rook on a8 and wanting to finally finish development by …Nd7) and then White continues the attack by 6 Rh1. Again no choice for Black, he must play 6…Nd7, but after 7 Bf7 Qf7 8 Rh8 Kh8 9 Qf7 he lost the queen. 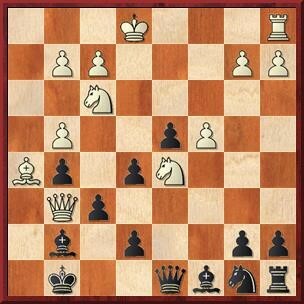 Now, even though this may as well be a lost position, Black can still put up a fight after 9…Nc5. He has a pawn mass in the center (and materially speaking he has a rook, bishop and two pawns for the queen) and if he somehow manages to play …e6 at some point without losing the f6-pawn he may even survive. To conclude, defending is tough, but not impossible. 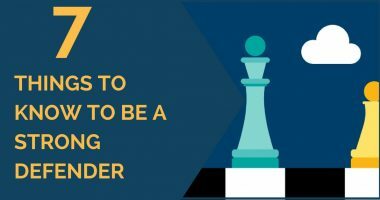 The key advice is to keep a cool head and keep on making moves that do not lose immediately. Prolonging the game only works for the defender, who refuses to yield. And then miracles can happen.